From award-winning creator of PIG THE PUG comes a brand new tale about the world’s greediest pug. Pig the Pug is back and this time he is being a great big cheat.Pig will do anything to win, and, if he can’t, he throws great big tantrums. 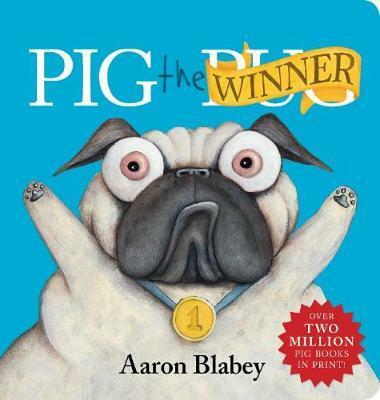 But when his latest attempt to beat his best friend, Trevor, backfires will Pig the Pug learn his lesson at last?